Originally the Stabyhoun was used as a combined watch, hunting and family dog. Today, most of them live as contented members of active families. The key is in the word ‘active’ as, if bored, you may find them starting to reorganise your garden or kitchen. This is a breed of dog that is both intelligent and eager to learn with a real desire to ‘stand by you’. It cherishes every single moment outside as a great swimmer and enthusiastic retriever of balls, but it also boasts a natural talent for using its nose. 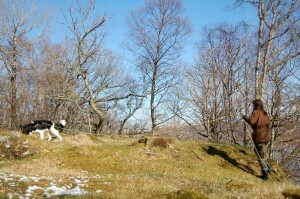 In Norway, the law demands that hunters must have access to a certified tracking dog for seeking out wounded wild game. And it is for this purpose that the Stabyhoun is now making a name for itself across Scandinavia. My male Stabyhoun Amigo began his blood tracking training at the age of eight weeks old. From the beginning my ambition was to certify him as a tracking dog and so we trained once a week. I am a hunter so therefore I needed that kind of dog. 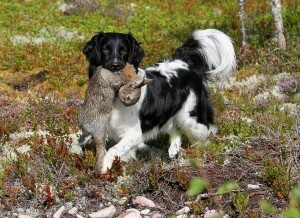 At the age of just 12 months, Amigo became Norway’s first certified blood tracking Stabyhoun, and in the years that followed, he became Norwegian and Swedish Wild Game Tracking Champion. At the age of four, Amigo made Finnish and Nordic Wild Game Tracking Champion as the only Stabyhoun in the world. Finally, in 2011, he won The Hell of Leuvenum in Holland as the first Stabyhoun ever to participate. Amigo is now eight years old and has recently sired a wonderful son, Storm. Of course he will also be trained in the art of blood tracking and, I hope, follow in his father’s footsteps as my skilled and faithful hunting companion. 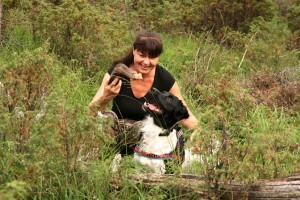 Why train your Stabyhoun as a tracking dog? In the same way as many gun dogs enjoy agility, your Stabyhoun will almost certainly enjoy the exercises involved in training a tracking dog. Aside from giving him a real sense of purpose, it will also build a strong bond between you and your dog. Although it is always easier if you begin when the puppy is young, an adult Stabyhoun is perfectly capable of caching up. Remember, what you are really doing is unearthing his natural instinct to sniff rather than trying to instil an entirely new and perhaps unnatural activity in his brain. What makes the Stabyhoun such a successful tracking dog, aside from having an amazing nose, is their ability to learn quickly combined with complete stubbornness; they never give up! This is a breed of dog with a real ability to think and solve problems, and the sense of satisfaction for both dog and handler after a good day’s work is extremely rewarding. Ultimately, you might find that your Stabyhoun is a happier and more contented dog inside the home if he is given the opportunity to use his senses outside, even just once in a while. If you are reading this as the proud owner of a Stabyhoun puppy, then now is the perfect time to begin. Just as the pup uses his nose to find the milk before his eyes and ears open, he is able to sniff out treats around the house and in the garden. By scattering treats around the garden or inside the house, you are encouraging your Stabyhoun puppy to use his nose to seek out food. This should always be a fun and rewarding game with plenty of fuss and encouragement from you, the owner. To get started in the field with an adult dog, ideally, you need animal blood which you might be able to buy from a local butcher or slaughterhouse. But if that isn’t available, a piece of fresh offal such as lung or heart will do as well – or you can buy bottled animal scent from a number of websites in the UK. You also need something to mark your route such as toilet paper or a small piece of plastic string (don’t forget to remove it all when you are done). For your dog you need a 10 metre tracking lead, and ideally a harness as you don’t want to be pulling on his neck while he tries to concentrate on the task at hand. Finally, but very importantly, you need a great reward for your dog at the end; his absolute favourite toy or treat! 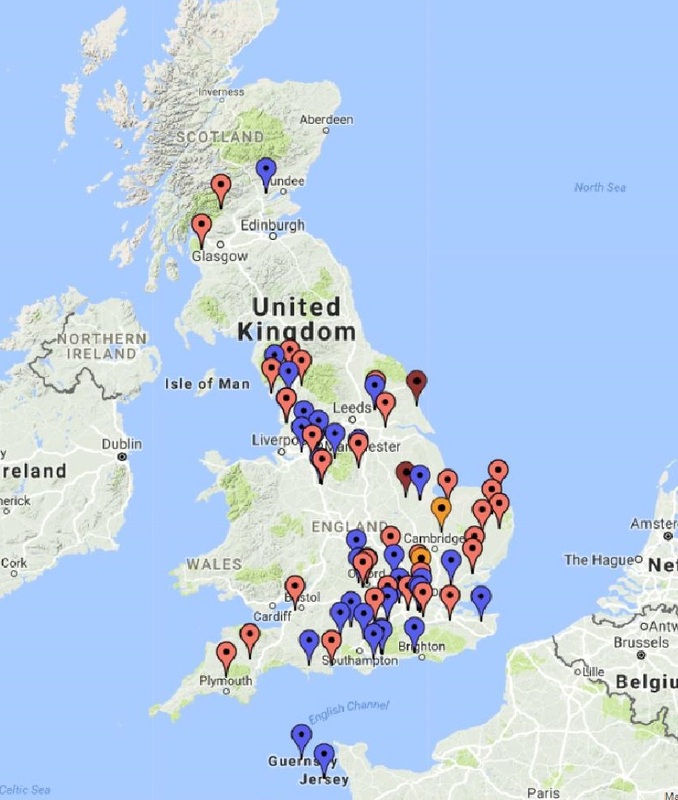 You can try doing this in your garden first and then later move into local woodlands (check permissions first). Pick your starting point and squeeze a couple of drops of blood or animal scent onto the ground. Ruff up the ground a little and repeat the marking to make it clear where to begin. Don’t step in it! Start walking while dripping the scent every other step, and mark the route clearly as you go along. You think you can remember a 50 or 100 metre trail? Believe me when I say that it’s guaranteed you will have forgotten the exact route after a few hours. After 50 metres (for your dog’s first outdoor test), mark the end in the same way as you did the beginning – by dripping a bit of extra blood or scent and ruffling up the ground along with a clear marker for you, the handler. Don’t forget to leave the dog’s treat here too so that he is instantly rewarded for completing the course. In Norway we use a foot from a deer or a moose but you might have to opt for something more local to the UK. Leave the track to settle for a few hours and then lead your dog in his harness to the starting point – clearly showing him where to begin sniffing. Don’t, however, say anything. From experience, I have found it best to let the dog solve the puzzle himself. Just follow behind him (which is where the 10 metre line comes in) and give him time to think. With a Stabyhoun you will see how capable they are of working independently using their instincts and amazing sense of smell. Some dogs hesitate the first time because blood smells funny. Be patient and let him take his time. If he still isn’t sure, you can always get down on the ground with him and invite the dog to check out the starting point with you. Always begin with short tracks and none that are more than a few hours old. Once your dog understands what the whole thing is about, then you can extend the length of the course and the duration of time between the track being laid and the tracking beginning. In Norway, the standard in a competition is to use 3dl blood on a 600 metre track. In Holland they use 2.5dl for 1,000 metres and in Finland it is 3dl for 1,400 metres – leaving the track to cool for anything between 12 and 24 hours. To you and me, this may seem challenging, but for a trained dog with a nose as good as the Stabyhoun’s, it is a welcome puzzle that they almost always solve with great skill and precision. Whether you are a hunter or not, it is worth considering the fun and pleasures both you and your Stabyhoun could have with scent tracking training. And be prepared to marvel in this wonderful breed’s natural talent for using his nose.